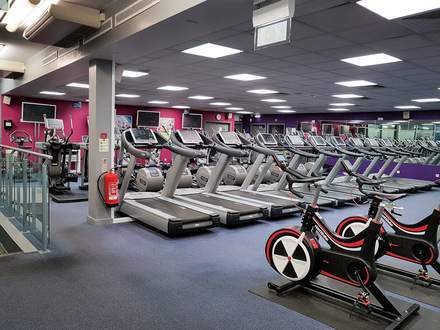 This double storey gym is filled with over 70 pieces of Technogym equipment and is perfect for those who like a cardio or weights workout. Recently refurbished, both our studios are air conditioned and filled with all the equipment you would need. With over 35 classes running per week, there is something for you here. 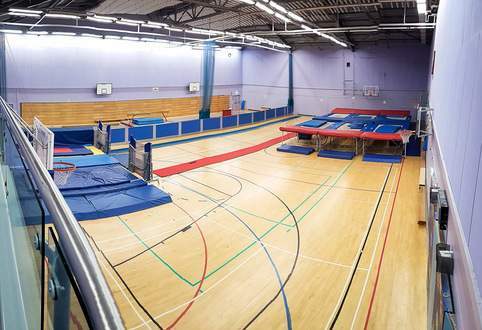 This versatile Sports Hall is used for all sorts of activities from Gymnastics to Trampolining. It transforms into a fantastic events space with likes of Jimmy Carr and Sally Morgan booking in their yearly tours with us. 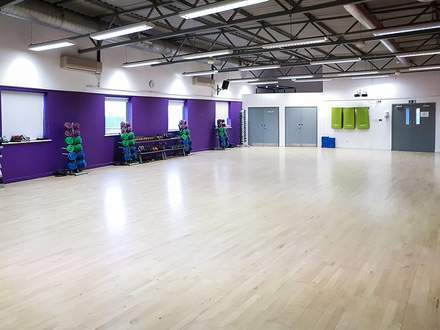 Wellsprings is also renoun for it's function space available to hire, from concerts, pantomimes, comedy nights and Christmas Party nights, there are endless possibilities with the large space available.